A Cocktail To Impress for Valentine's Day! Chocolate and roses are fine and much appreciated but if you really want to impress your sweetie this Valentine’s Day, make a cocktail to remember! 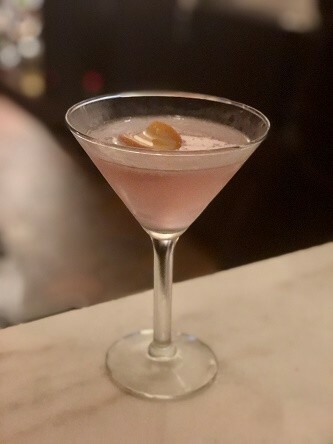 Created using Citrus Acquint di Cedro, Cointreau, Lime Juice and Cranberry Juice, this flaming cocktail puts a romantic spin on a Cosmopolitan. Gotham Love Potion ~ available at Ocean Prime New York for Valentine's Day. Combine Acquaint di Cedro, Cointreau, Lime Juice and Cranberry Juice in a mixing tin. Add ice, shake vigorously and strain into a chilled martini glass. Finish cocktail with an orange twist. Light the orange peel on fire and watch it spark!